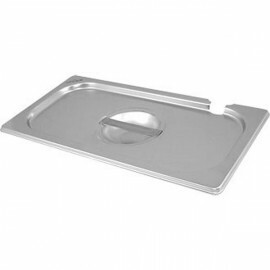 The Vogue Stainless Steel Gastonorm Pan 1/2 One Half Size is a versatile half size gastronorm pan ideal for anything from storage, re-heating, blast chilling, transportation and presentation. 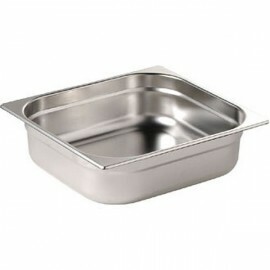 With six depths available all built out of high quality stainless steel this gastronorm pan is perfect for your catering operation. 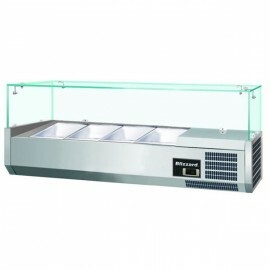 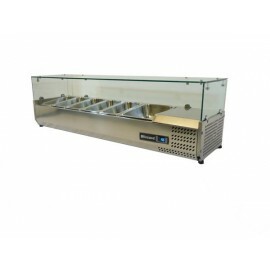 Ideal for pizza, salad and sandwich preparation, this 1.5m prep top hold 3 x 1/3 and 1 x 1/2GN gastr.. 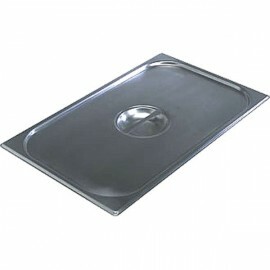 The Vogue Stainless Steel Gastonorm Pan 1/2 One Half Size is a versatile half size gastronorm pan id..